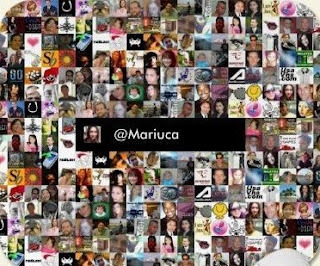 While visiting my dear buddy LadyJava today, I came across a really cool twitter mosaic at her blog, which allows you to view all your Twitter followers! I love this LJ, now I too can see who my Twitter fans are! Thank you to everyone who dropped by my blog this week. I hope you enjoyed your time and here's wishing you a lovely weekend. Subscribe to Mariuca's Perfume Gallery! Recent blog post: Forgive and forget? Recent blog post: Friday Attack! Done with the avatar and the SB woo hoo!!! Yeah now can sleep oredi okay? Hopefully can wake up before noon he he! Dats why la!! 500+ and still growing in number!!! Can imagine how their mosaic will look like? Fuyoo!! Recent blog post: It's Confirmed! I'm A Night Person! Wah.. Super Monica.. on a roll!! Recent blog post: Can you? :* :* :* :* :* te tchel! i saw this too at LJ and wanted to do the same post too! maybe next week ya!! how are you today, marzie?? 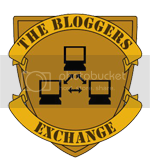 it's very quiet at the bloggerhood now.. i don't feel like being online too. but got PB to do.. how laaazzyyy.. nasib baik lah i get :-$ :-$ out of it.. kalau tak.... i'm oredi bye bye to wonderland..
Waaah! wish I had a PB to do too!!! Need $$$!!! tweet! tweet! tweet! hanybody ome?!! err. i mean anybody home! He he tweet2! I see u too Emila! marzie! am putting this in my blog too! saw one at adam's also! i noticed that tak semua keluar kan? the counter dah lama tak update! and the mosaic is up to 360 je for my mosaic! hi marzie! am here yesterday! penat je tampal code yang panjang tu!!! have changed the status to draft until i figure out what is happening! yooohooo emila!! ni dah bangun ke langsung tak tido dari smlm ni? I don't know how to use twitter! Can't wait for MM tomorrow! dah bangun! semalam tidur pukul 4.15...hubby bisisng kenapa lambat tidur! happy sunday marzie and rozella! she will, bill! no worries! ada orang kawin kat sebelah rumah!!! my head now full of noise, cannot concentrate doing PB! haiya! tiring la listening to the karaoke!!! :) :) hehe saja nak tambah komen! He he he Janice! My perfumes are happy u dropped by to say hello to them lol! Thanks for following me too Liza, love ya! Jan, activate ur Twitter if u have not done so, I will surely follow u or have I already? Hmmm…..